However, I am arguing that The Golden Age has led to The Silver Age that we are currently in. I do not believe we are in the Golden Age anymore. For starters, I think the quality of programming is inferior to that of The Golden Age. Since HBO aired Oz, The Sopranos, and Deadwood it has given us shows like Game of Thrones, Boardwalk Empire, and The Leftovers. I don’t mean to denigrate the latter shows; however, their quality compared to their predecessors just isn’t up to par and that’s indicative of the entire television landscape as a whole. Additionally, the proliferation of shows and networks is different than it used to be. The Golden Age saw an increase in networks seen through the traditional television set. The Silver Age is seeing an increase in networks that could barely even be considered that. “Networks” like Netflix, Amazon, Hulu, and even Yahoo! for the briefest of moments are becoming more powerful and omnipresent in today’s landscape. 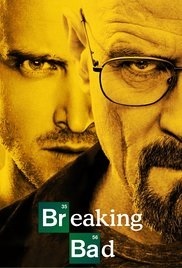 This has drastically changed the amount of television shows being produced to what is now known as “Peak TV”. There are certain shows that have helped define this new era of The Silver Age of Television. Here are those shows and how they relate and define the era as a whole. Breaking Bad falls firmly into The Golden Age of Television and not the Silver Age because the greatest television show ever made has to be a part of the main revolution. However, I wanted to briefly bring it up as a precursor to The Silver Age. AMC’s western-noir was not the biggest hit when it first came out. While it was originally recognized by the Emmy’s, fans (including myself) did not initially come on board. Luckily, AMC stuck with the show and put past seasons to stream for free on Netflix. As the word-of-mouth for the show grew, more and more people started catching up on the show via Netflix. Breaking Bad helped usher in the term “binge-watching” as the masses started getting hooked on the show to catch up with it. The show’s creator Vince Gilligan credits the ultimate financial success of the show to Netflix. On Demand and streaming has existed before Breaking Bad, but the show helped show us that people would prefer to watch multiple episodes in a row in one sitting at their own schedule as opposed to waiting for it weekly. The official end of the Golden Age came when Breaking Bad (2013) and Mad Men (2015) ended; however, The Silver Age was well on its way by then. I would argue the official start of this new era of television came on April 11, 2011 when HBO premiered its big-budget fantasy epic Game of Thrones. While GoT was not the monster hit right out of the gate, it is now the only show on television that needs to be watched when it first airs. The show is both adored by fans and critics alike. It is one of the most popular shows on television, and it gets nominated and wins Emmy’s. As of the writing of this post, it is the reigning winner of the Best Dramatic Television Show Emmy. The success of Game of Thrones comes from a grounded realism of the fantasy genre as well as its own sadistic take on fairy tales. Our storytelling culture leads us to believe that the heroes will win and that villains will get their comeuppance. Game of Thrones plays with these notions as it is more than willing to kill of those who are noble and just while the truly evil sit back and watch it all happen, only to be killed off in a worse manner; however long after their due. Characters like King Joffrey and Tywin Lannister are horrifically killed, but live far longer than heroes like Ned and Robb Stark. Those who are morally questionable like the three Lannister siblings, Jamie, Cersei, and Tyrion, get to live long and prosperous lives. Game of Thrones is also influential in the sense that it showed what long-form storytelling looks like that isn’t fit for the movies. George R.R. Martin, who wrote the books that Game of Thrones is based upon, has said that he was approached to make his books into movies, but refused because he thought (probably correctly) that even a three-hour movie would bastardize his vision. A ten-hour television season on the other hand? That has proven to work our pretty well. I have had a long, long, long and complicated history with House of Cards. However, my personal taste for the show is irrelevant, because the show is the lynchpin that exploded the grenade of The Silver Age of Television. Before House of Cards, Netflix was mainly an excuse to stream movies and the occasional television show. After House of Cards, Netflix has basically become its own television network where you can also watch old movies. House of Cards to Netflix is what Oz was to HBO, it was a show that helped put the network on the map and showed the world that it was a true player in the original programming business. Netflix even famously outbid HBO for the rights to air the show, causing the television version of the Hatfields and the McCoys. While Netflix did have some original programming like Lilyhammer, it was the Kevin Spacey led drama that helped solidify Netlfix in this business. Netflix becoming successful in this game helped change the way American audiences watched television. Netflix saw how its viewers were watching television (helped in large part by Breaking Bad) and decided to release entire seasons of the show at once. No longer were the restrictions like time and place important to watching television. You could watch House of Cards wherever and whenever you wanted to. The proliferation of networks during The Golden Age meant that we were getting more chances to watch prestige television, but the proliferation of networks like Netflix, and eventually Amazon and Hulu, meant that we not only got even more prestige television, but we could watch that television on our own schedule. If House of Cards was Netflix’s Oz, then Orange Is The New Black was Netflix’s Sopranos. Oz was the show that told the world HBO was a real player, but The Sopranos was the show that helped define the television landscape. Premiering just months after House of Cards and with little press, Orange Is The New Black gave us a show that really showed us what great programming Netflix was capable of giving us. House of Cards did well with fans, but did not and has not done that well with critics. 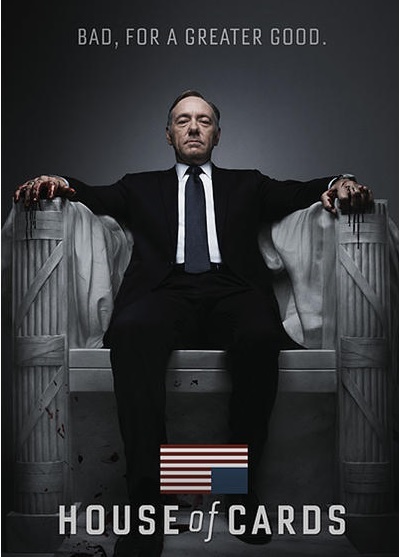 If Netflix had stuck with shows like House of Cards then it might not be the television juggernaut it currently is. Luckily, the streaming service didn’t as shown with OITNB. From Weeds creator Jenji Kohan, Orange Is The New Black tells the story of privileged New Yorker Piper Chapman who gets sentenced to 18 months in a minimum-secured prison. However, this is only the audience’s entry way into a story dealing with classism, sexism, and racism. Piper may have started off as the main character, but she quickly took a back seat so we could get to know the vast world of prison life that Kohan created. We’re not only shown the lives of the prisoners, but of the security guards and prison upper management as well. Despite the massive cast, we get to know the lives of almost everybody like the early works of Paul Thomas Anderson so we sympathize with everybody and understand how every decision, no matter how bad, is made. Orange Is The New Black also helped shatter the glass ceiling of Hollywood. The show is run by a female, has many episodes directed by females and stars mostly females of all different races. The show even prominently stars a transgendered woman (Laverne Cox) who became the first transgendered woman to be nominated for an Emmy. Not only has Netflix revolutionized the way we watch television, but it has revolutionized the shows being put on the air as well. As great as Dan Harmon’s Community was, the show in and of itself didn’t do a whole lot to influence television around it. It’s pretty difficult to do that when hardly anybody outside of television critics watch your show. However, Community is on this list for what it represents in this Silver Age. For starters, Community represents how a little watched show with passionate fans can have success. While the show’s Nielsen ratings were atrocious, its fans were vocal and passionate. This type of buzz the show ended up generating didn’t usually mean a whole lot even 10 years ago, but means a huge amount in this Social Media era we live in with Facebook and Twitter. With the greater proliferation of networks and television shows, the amount of people able to watch what’s new every week starts to dwindle. The huge ratings a show like Friends and Seinfeld ended up getting are gone. Freaks and Geeks, a little watched show in its day, would be the biggest thing on television if it got the same numbers now as it did back in the early 2000’s. Television viewing is fractured, but a little watched show like Community can end up staying on network television for five seasons thanks to a zealous audience. Secondly, Community helped prove that no show is truly dead. An inside joke in the show (among a litany of other things) was that the show was going to get six seasons and a movie. 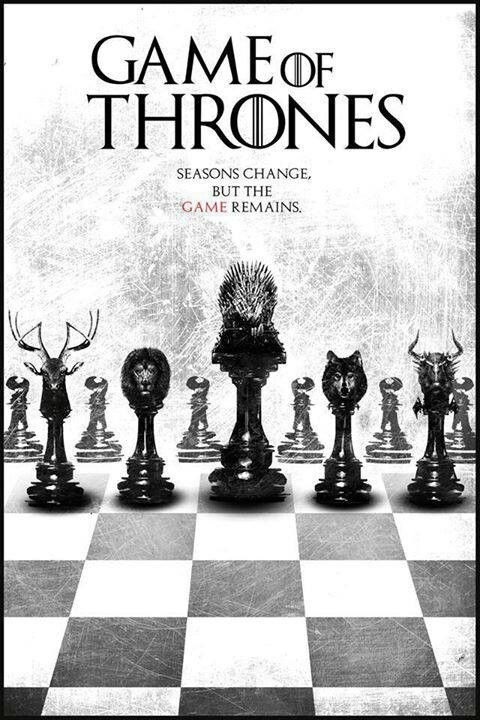 When the show miraculously made it through five seasons, a sixth seemed like a no-brainer. However, when NBC cancelled the show after the fifth season, all hope seemed lost. When Netflix, Amazon, and Hulu all passed on making a sixth season, the end was here. But then came along Yahoo!. The internet website snatched the show and streamed it on its platform to help launch its original programming like Other Space and Sin City Saints. While Yahoo! ended up scraping its entire plan to get into the television game thanks to losing almost $50 million, the whole process was emblematic of this era. Places are looking to build their library and will pick up canceled shows to help build up their own content. The Silver Age of Television is defined both by the vast quantity of quality programs as well as the ability to watch these shows on our own time. A network or company having six seasons of a quality show like Community is extremely valuable nowadays. AMC will pick up a third season of Halt and Catch Fire, a show almost literally no one watches, just so it can have it in its vault for when people eventually come around it. HBO will air garbage like The Brink and Ballers just too add to their repertoire. Further, companies will pay to produce shows that the networks don’t want to help generate interest for its own original material. Both FX and HBO realized that audiences were craving prestige mini-series’ along with prestige television, and both bid lots of money to get Nick Pizzolatto’s show starring Matthew McConaughey and Woody Harrelson. Ultimately HBO won out, and the network’s instincts were proven correct. 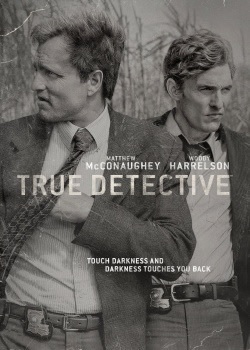 True Detective became a cultural hit and helped solidify Mr. McConaughey as an A-list actor. Ultimately, what True Detective further proved is that how we as a society watch television has changed. All we want is a good story, and frankly we’d probably prefer if it was told in 6-10 episodes as opposed to 22 episodes. Mad Men’s final season was broken up into 7 episodes over 2 seasons. Most Netflix shows are only 10-13 episodes long. Gone are the way of the traditional shows that span over years, we want ones that spans over weeks (or even days depending on how long we binge). True Detective helped bring the mini-series back. It was only 8 episodes long and told exactly the story it wanted to tell using incredible direction, writing, and acting. It was a longer movie, and one we were glad had a finite end point. The Silver Era of Television is largely defined by how we watch television, and the rise of the prestige mini-series shows that we watch television in many ways. Talking about the rise of prestige television almost exclusively means television dramas. However, comedies are very much a part of our television viewing experience and about this era of television in general. While new networks and what we now call networks have sprung up like weeds, an existing network has seen a revitalization during this era. Comedy Central has purposefully been working towards expanding and changing its network. Not only have we seen a rise in quality programing it’s putting out there (like Key and Peele and Broad City, but also Workaholics, Review, Drunk History, and Inside Amy Schumer), but it’s also using the technology available to them to their fullest advantage. 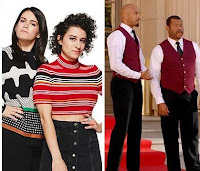 Sketch shows like Key and Peele and Inside Amy Schumer are so valuable to Comedy Central because they can put individual sketches on sites like YouTube. Key and Peele’s famous substitute teacher bit has almost 95 million views on YouTube and now my 50 year old supervisor and 60 year old parents know who Jordan Peele and Keegan-Michael Key are. Comedy Central also does not shy away from putting full episodes on their app. No television? No problem! Download our app and watch it there. Some of Comedy Central’s show like Broad City still get the same forward-thinking treatment when it comes to how it’s released and promoted, but Broad City also represents a different form of sitcoms. Mostly gone are the traditional sitcoms like Friends, Everybody Loves Raymond, and Cheers and in are Millennial Sitcoms like Broad City, You’re The Worst, Love, and Master of None. Storylines about dating app shenanigans, drug use, and non-traditional relationships have replaced the classic storylines like a blind date gone wrong or a Sam and Diane -esque will they/won’t they. Broad City represents the new kind of sitcom; one indicative of this generation for this particular era. Lastly, we have Arrow. Mainly a symptom of the culture at large versus a trendsetter, Arrow represents superheroes vast expansion of culture that has bled into television. Dating back to Adam West and the original Batman, superheroes have existed on television since the 1960’s. However, they never really were able to penetrate the zeitgeist. I guess superhero shows still haven’t fully penetrated it the way something like Game of Thrones has, but it’s certainly more prevalent nowadays. The success of Marvel in the film industry has trickled down to DC in the television industry, and superhero television nowadays owes a huge thanks to Greg Berlanti and Arrow. Greg Berlanti is an experienced television producer working on projects such as Dawson’s Creek, Everwood, No Ordinary Family, and Political Animals. Having shown a penchant for superhero shows and CW, Berlanti helped bring Arrow to the small screen. It was a huge critical success as Berlanti seemed to have unlocked the code of bringing action to viewers on a weekly basis. Thanks to an incredible action and stunt team, the ability to create excellent special effects on a smaller budget, and a Nolan-esque procedural way to make a superhero interesting, Arrow became the immediate gold standard for how superhero shows should be. Four years later, Berlanti has brought The Flash, Supergirl, Legend of Tomorrow to television to join other superhero shows like Gotham, Agents of SHIELD, Agent Carter, Daredevil, and Jessica Jones. Superheroes are literally everywhere, and they’re everywhere on T.V. thanks to Mr. Berlanti. Before Arrow, superheroes weren’t viewed as being a successful enterprise (Andy Greenwald post here). Nowadays, we can’t get enough of them. With superhero franchises essentially becoming television shows unto themselves (Cracked or Mark Harris article), it’s no surprise that we should have actual television versions of superheroes as well. By no means should this list be taken as a best of list for the past few years. On the contrary. I don’t even personally like a handful of shows on this list. However, I do believe these are the most influential scripted shows of the past few years and shows that have helped define this current era of television we are witnessing. We are in Peak TV and The Silver Age of Television. Let us back in its glory. WHAT ARE YOUR THOUGHTS ON THE SILVER AGE OF TELEVISION? LET US KNOW ON OUR FACEBOOK PAGE!